The Corinthian (from the Sandman series) by Emily Allen. 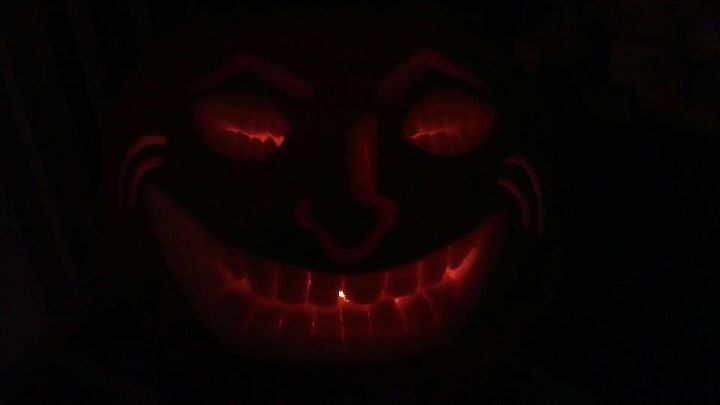 “Though, lit up in the dark, it looks more like a troll face,” she says. Either way, it’s geeky and awesome! 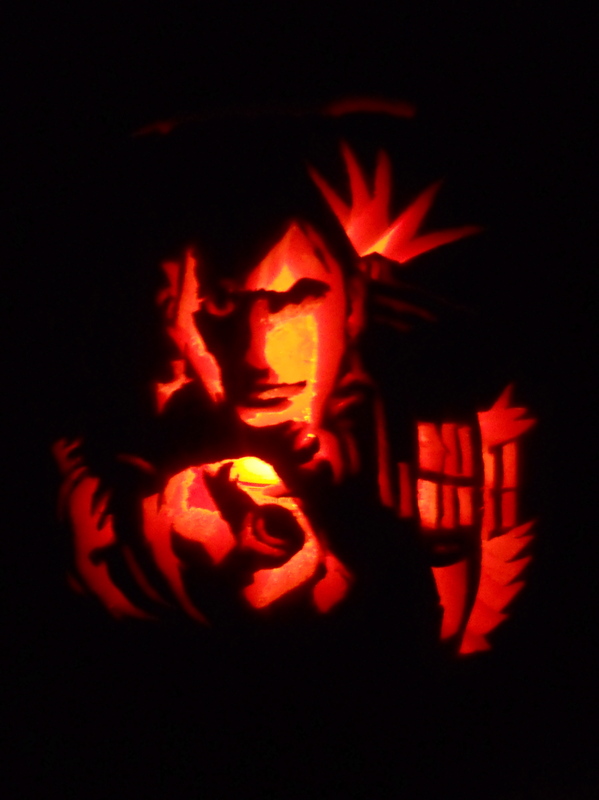 The 10th Doctor pumpkin by Katie. If I had any artistic talent, I would try to make this myself. 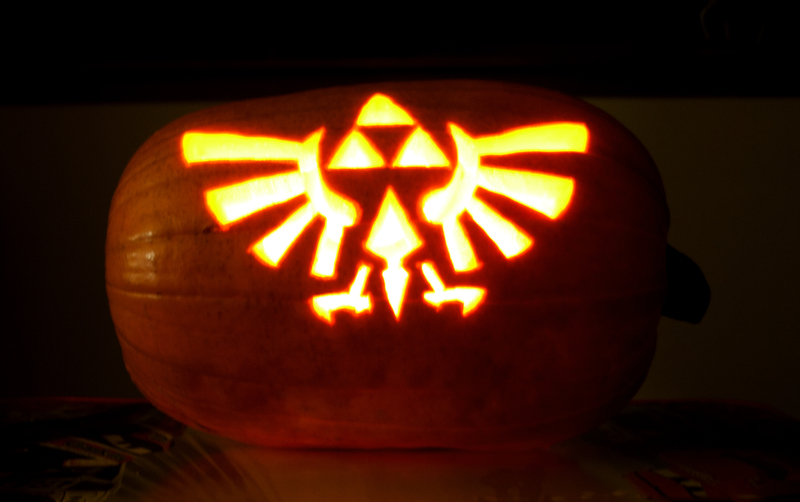 It’s not too late to let them inspire your pumpkin designs! 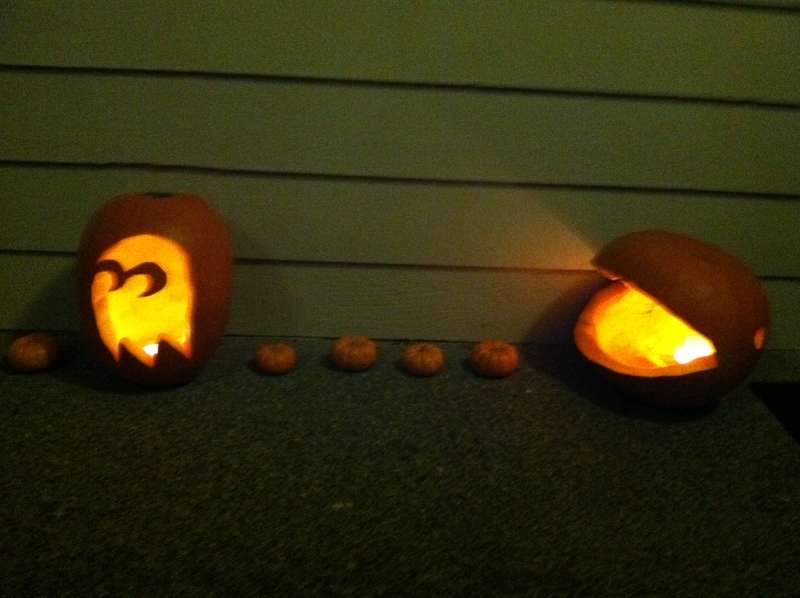 What are you planning to carve into your gourds this weekend?